2 in 1 – Deet Free Repellent & Stop Itch. Prefer to apply lotion rather than spray? 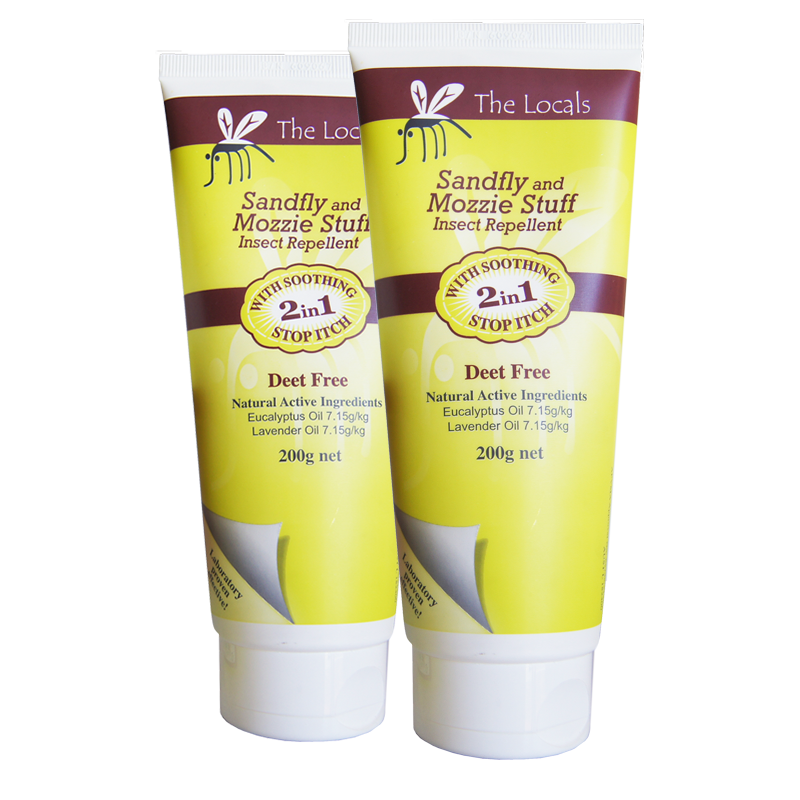 The Lotion Lovers Pack gives you plenty of natural DEET free insect repellent to last a long time and keep those annoying bugs away. 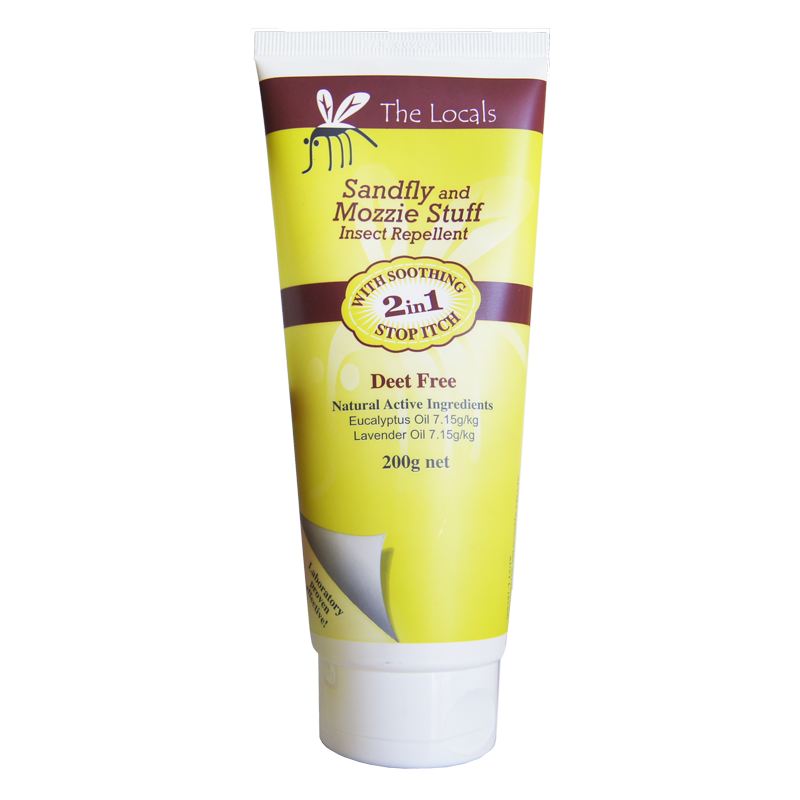 Made from the highest grade of essential oils and enriched with vitamin E, The Locals “Sandfly and Mozzie Stuff” is an incredibly effective, deet free lotion. Lightly moisturising and rapidly absorbed, it is designed to give you immediate maximum protection from biting insects. For those times when forgot to apply or just got caught out, The Sandfly and Mozzie Stuff will help ease the inflammation and itching for those unfortunate bites. A favourite for children and when your skin needs a little extra care. Use after showering and all day long to protect, moisturise and smell great. Love the new website, this is my third order. Wont buy anything else i recommend to all my family and friends great job on your awesome product.